A view of the "Alemao" favela in Rio de Janeiro, Brazil in August 2018. Photo: Fabio Teixeira / DPA / PA Images. All rights reserved. This article is part of the series "Persistent inequality: disputing the legacy of the pink tide in Latin America" produced in alliance with the Institute of Latin American Studies and at the Instituite of Sociology of the Freie Universität Berlin. On 1 January 2003, Luiz Inácio Lula da Silva, a migrant from the Brazilian Northeast and former metalworker in São Bernardo do Campo (in the industrial area of São Paulo), was sworn in as the president of Brazil. His first term gave rise to a power system André Singer labeled Lulism, implying a double strategy which maintained an orthodox economic policy with high interest rates, a floating exchange rate and a balanced public budget, while strongly expanding social disbursements and raising the minimum wage in real terms proportional to the country’s economic growth. This strategy ensured gains for both the rich, who were exempt from tax increases or confiscation of goods or assets, and for the poor, who could benefit from cash transfer programs, as well as from the economic growth that yields new economic opportunities. From the political-institutional point of view, this power system was supported by the coalition between Lula’s Party, that is the Workers’ Party (PT) created during social struggles against the military dictatorship (1964-1985), and several conservative parties. Due to the lack of ideological communalities, the alliances between the PT and the conservative parties were based on the distribution of (legal and illegal) benefits to allied politicians. Due to the lack of ideological communalities, the alliances between the PT and the conservative parties were based on the distribution of (legal and illegal) benefits to allied politicians – from the control of state agencies and companies to the spoils of fraudulent contracts with private firms. This power system proved extremely successful, ensuring Lula’s re-election in 2006; the election of his chosen successor, then-unknown Dilma Rousseff, in 2010; and her re-election in 2014, even though the signs of Lulism’s exhaustion were evident from 2013 onwards. 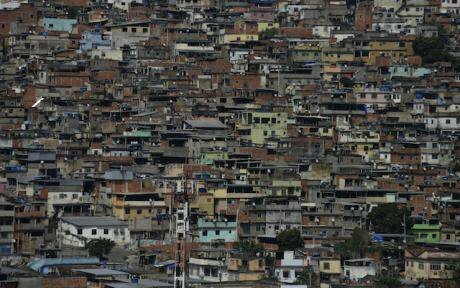 Between 2003 and 2013, Brazil’s gross domestic product grew 64% and the percentage of the population living in poverty was halved. In addition, social spending grew significantly, the minimum wage increased by 75% in real terms and millions of new formal jobs were created every year. Since 2014, however, Brazil has faced a dramatic crisis, which has transformed the country into a “dreamland for social scientists [and] the nightmare for everyone else” as properly described by the University of London economist, Alfredo Saad-Filho. A political and an economic crisis fed themselves reciprocally, generating economic recession, lower formal employment and higher household debt. While investigations against corruption paralyzed the political system, the GDP annual growth rate fell from 7.6% in 2010 to 0.1% in 2014 and contracted 3.5% in 2015 and 3.6% in 2016. At the end of 2015, the Brazilian congress started an impeachment process against the president Rousseff, who has allegedly violated Brazilian budgetary laws. The president was first suspended in April of 2016 and finally removed from office in August 2016. In April 2018, the most popular politician of contemporary Brazilian history, Lula da Silva, was arrested after being condemned in second instance for supposedly having benefited from illegal business between his administration (2003-2010) and a construction company. Several lawyers and human rights experts convincingly showed that his condemnation does not meet the requirements of a legal process within the rule of law. Why a political arrangement (the Lulism) which did not burden the rich could generate such virulent reactions from the Brazilian elites? On the other hand, the crisis fueled the curiosity of social scientists. They wanted to uncover the political polarization of a country that, notwithstanding its violent past, experienced all major transitions – including independence, the abolition of slavery and proclamation of the republic in the 19th century, as well as democratic transitions in the 20th century – not through revolution, but through agreements between elites. The intriguing question at stake is: Why a political arrangement (the Lulism) which did not burden the rich could generate such virulent reactions from the Brazilian elites as materialized in the impeachment against Rousseff and in the elites’ support of Lula’s detention? In what follows, I first assess the impact of pink tide governments over social inequalities in Brazil; in a second step, their political legacy. There is no consensual definition of social inequalities, neither among social scientists, nor in the political arena. While more liberal minds privilege (in)equality of opportunities, social democrats prefer to refer to inequality of results, which means the real social distances. For our purposes in this brief appraisal, I define inequalities as distances between positions occupied in the social hierarchies by individuals or groups along at least three dimensions: income and wealth (properties, assets, etc. ), power and ecological inequalities. Regarding income, there was an expressive reduction of income inequalities during the pink tide administrations, as measured by the Gini Coefficient, with a decrease from 0.59 in 2002 to 0.51 in 2015. At the same time, the proportion of income appropriated by the richest 1% has increased since 2003 reaching 25% of the total income in 2015. This means that the redistribution of income occurred on the bottom and in the middle of the social pyramid, but not on its top. The concentration of properties and assets, for its part, is even greater and also persistent. The Gini coefficient for property and other assets did not expressively change during the pink tide governments and was at 0.85 in 2012 as calculated by Fábio Ávila de Castro. According to him about 400 thousand tax payers, corresponding to 0.2% of the total population, concentrate about 47% of the entire wealth declared in Brazil. Social policies based on cash transfers, as preferred by Brazilian pink tide governments, have a strong impact on poverty reduction, but they are ineffective for promoting redistribution of income and wealth. Among experts there is a broad consensus that the reduction in the Gini coefficient, relating to individual income during the pink tide administrations, is rather a consequence of economic processes (such as increasing prices for commodities in international markets and moves in domestic labour markets) than of social policies. Accordingly, social policies based on cash transfers, as preferred by Brazilian pink tide governments, have a strong impact on poverty reduction, but they are ineffective for promoting redistribution of income and wealth. Analysts also question the sustainability of the decrease in inequalities in Brazil, given the current adverse confluence of modest (or even negative) economic growth, “premature” de-industrialization, a “reprimarization” of exports and falling commodity prices. The political conjuncture is also adverse for redistributive policies. After assuming the presidency in April 2016, the current president Temer started cutting social benefits introduced during the PT administrations. He first abolished the agency with ministerial status responsible for implementing policies meant to mitigate inequalities in terms of gender and race. Some months later, he delivered a constitutional amendment known as PEC 55, freezing in real terms social expenditure for 20 years. Further social cuts followed in the subsequent months. The tax policies adopted by pink tide administrations also explain their modest results in terms of reducing income and wealth inequalities. Overall tax collection did in fact increase from 31.8 percent of the GDP in 2003 to 35.9 percent in 2012, exceeding thus the average number of OECD states which is 34.6 percent. However, the composition of tax revenues in Brazil differs substantially from that of those countries which are more effective in diminishing inequalities. While indirect taxes (based on consumption), which are regressive, that is, contribute to increase inequality, represent 49.7 percent of all collected taxes in Brazil, they held a much lower share of all collected taxes in European countries such as Germany (29.2 percent) and Norway (27.3 percent). In Brazil, the current composition of tax revenues has not varied substantively since the Workers’ Party took office in 2003. This is also true for other regressive characteristics of the Brazilian tax system, such as the lack of a tax on dividends (in Western European countries this taxation varies from 25 percent in Belgium to 42 percent in Denmark) and the low taxation of high incomes (in Brazil the highest income taxation is 27.5 percent, whereas in Sweden, for instance, it amounts to 56.6 percent). Brazilian tax experts have recently developed different models for implementing relatively simple tax reforms with an expressive impact over inequalities. Brazilian tax experts have recently developed different models for implementing relatively simple tax reforms with an expressive impact over inequalities. Castro, for instance, simulates different changes in the Brazilian taxation system and concludes that ‘merely’ introducing a taxation of 15 percent for capital and financial profits combined with tax rates of 35 and 40 percent for high incomes could reduce the Gini coefficient by about 20 percent. This would be more than what was achieved during the twelve years of PT administrations, the most successful period in terms of inequality reduction in Brazilian history. This leads us to the second relevant dimension of inequalities: asymmetries of power. The assessment of power asymmetries is a complex endeavor due to the fact that transparent indicators for this are not available. In general terms, it can be stated that the PT administrations have not represented a radical power shift in favour of the working and lower classes. Otherwise, these administrations would have reformed the regressive tax system, targeting capital and financial profits. Notwithstanding, minorities (not in demographic but in political terms, such as Afro-descendants and women) have been empowered insofar as their claims have been inserted on a large scale into the political agenda, being addressed by compensatory policies. However, these political gains are tenuous, since they were institutionalized not as rights granted by solid welfare institutions, but as benefits within transitory social programs. Drawing on the vocabulary Partha Chatterjee applies to analyze Indian politics, we can state that in the framework of the social programs introduced by PT administrations, beneficiaries represent target populations which have entitlements, but not full citizens with unnegotiable rights. The fragility of gains for the poor and minorities obtained during the PT administrations, became evident after Temer having assumed the presidency. With this distinction, I am not negating the huge relevance of these programs for reducing poverty and temporarily empower minorities. My intention is to emphasize some insufficiencies of these policies to produce a power shift in favour of the poor and the minorities in Brazil. The fragility of gains for the poor and minorities obtained during the PT administrations, became evident after Temer having assumed the presidency. Despite his grave lack of popularity and legitimacy, he has successively cut benefits for the poor and minorities, using simple administrative measures. The assessment of the variation in socio-ecological inequalities is also difficult, since existing indicators are unprecise and partial. Yet, several qualitative studies demonstrate that the expansion of production and export of commodities during the pink tide administrations created new risks and produced damages mainly for the populations residing in the areas of expansion of mining and agricultural activities. The intensive use of fertilizers, pesticides and genetically modified seeds, as well as reckless techniques of exploitation of mineral resources led not only to new abstract risks, but also to high levels of contamination and health complications for populations more exposed to these hazards, such as rural workers, indigenous and so-called traditional populations. Moreover, for the urban population, especially the poorest, who reside in the peripheral areas, the unprecedented expansion of the number of automobiles and motorcycles in this period, significantly lengthened the time spent in locomotion, and made environmental conditions worse, given the level of noise and air contamination. rounded numbers) 37 thousand deaths and 16 thousand indemnity claims for permanent disability in traffic accidents in Brazil. In 2015, there were 42 thousand fatal victims and 516 thousand permanently disabled victims, especially among pedestrians and motorcyclists, precisely those groups of road users in which the poor are concentrated. The current political situation in Brazil, a few weeks before the general elections in October, is very serious. The country continues to be governed by a president who remains in power only because he has offered several advantages to Congressmen to refuse solid allegations of corruption against him. The presidential candidate Lula, who by far leads all electoral polls, is arrested, sentenced to 12 years and a month in jail. His candidature will probably be rejected by the Superior Electoral Court. Second in the polls is a retired military officer, Jair Bolsonaro, who represents the radical right wing and is known for his racism, sexism and misogyny. The political system resists any attempt on a self-reform. It is nowadays an apparatus specialized in exchanging parliamentary support for illicit advantages that has no function in representing the interests of society. The political system resists any attempt on a self-reform. It is nowadays an apparatus specialized in exchanging parliamentary support for illicit advantages that has no function in representing the interests of society. Society is polarized between those who want Lula's return to power and those who hate and repudiate everything that is linked to the PT and its legacy. The judiciary in turn helps little to arbitrate conflicts in this divided society. An important part of the justice operators understands that their main function is to reform the political system, as shown by the political analyst Marcos Nobre. Is it fair to say that this is the political legacy of pink tide governments? Yes and no. It is true that the PT did not promote the political polarization. Media, public opinion makers and opportunist politicians instrumentalized the fears and anxieties of the established middle classes by constructing the myth that their problems were a consequence of pro-poor measures and empowerment policies for blacks and women adopted by the PT. However, it is also true that the pink tide administrations have done nothing to reform the political system and make it more transparent and porous to the interests of society. On the contrary, for remaining in power, the PT has contributed to widen the level of corruption in the political system. At least partially, the PT and pink tide administrations are responsible for the lack of political-electoral alternatives for Brazilian progressive forces. The party has for decades exercised absolute hegemony over the Brazilian left, coopting or suffocating any new political leadership that has emerged. Even today, when the party is smashed and discredited, it invests in the charisma and personal prestige of its top leader Lula to prevent the consolidation of new parties and leaderships in the progressive political field. A serious prognosis about the October elections in Brazil at this moment is unfeasible. However, whatever their results, the continuity and deepening of the policies against social inequalities in Brazil are unlikely. It is expected that the new congressmen and governors will come mostly from conservative parties linked to the interests of the most powerful economic sectors, such as mining companies, banks and agribusiness. A serious prognosis about the October elections in Brazil at this moment is unfeasible. However, whatever their results, the continuity and deepening of the policies against social inequalities in Brazil are unlikely. In this case, one should not expect emphatic policies of redistribution of income and wealth, such as tax reform or agrarian and urban reform. On the contrary, future reforms are more likely to cut social spending, create even more tax facilities for the rich, leading to higher concentration of wealth and income. In this scenario, even if a president identified with redistributive policies is elected, there will be no support for the implementation of progressive policies. If a conservative president is elected, the situation may worsen. The inequality and poverty that have grown back since Dilma Rousseff's deposition may return to levels found before the pink tide governments. This summarizes the current political dilemma Brazil is facing: pink tide governments were not efficient in reducing social inequalities, but all other realistic political alternatives are much worse.